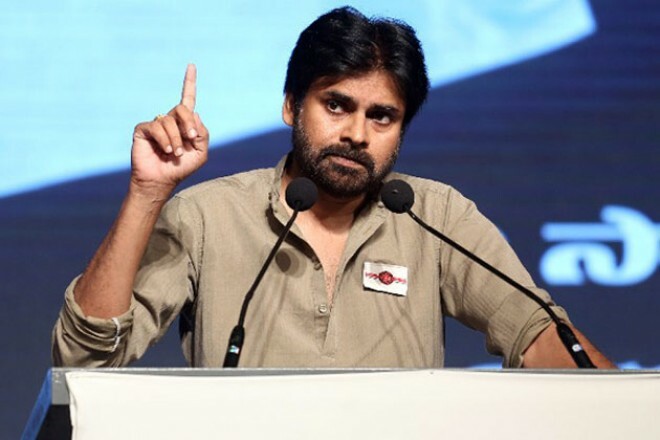 Visakhapatnam, Mar 12: The elections to Andhra Pradesh assembly are just less than a month away and there is still suspense over the choice of assembly constituency by Jana Sena Party chief and power star Pawan Kalyan. According to reports in a section of media, Pawan Kalyan is understood to have considered a constituency from Visakhapatnam where he has a huge fan following. In all probability, he is expected to contest from Gajuwaka assembly constituency in Visakhapatnam city. It is noticed that Pawan Kalyan has been under tremendous pressure to contest from Gajuwaka from the party leaders and cadre, who have made several representations to him to choose the seat. The party has also witnessed a huge response from the youth towards its membership drive and therefore, Jana Sena has a huge vote bank in the constituency. They are apparently of the view that Pawan, who has been disclosing a lot of interest in the north coastal Andhra, has tremendous goodwill here. His contest from Gajuwaka will boost the party's prospects in the region. However, Pawan is yet to decide on the constituency. "Most probably, he will take a call after March 14 public meeting at Kakinada," a party leader said. The Jana Sena chief is also considering a couple of other constituencies -- one in East Godavari and another in Anantapur districts. "Maybe, he will contest from two seats like his brother Chiranjeevi had done in 2009 elections," the leader said.